History tells us that Martin Luther did not like the Biblical book of James. He felt it taught a doctrine of salvation by works. For instance, James writes “…faith that does nothing is dead” (James 2:26 God’s Word). So many religious people sit on property committees, attend denominational business meetings, beautify the building with the name of the group on it, donate for new roof or furnace or even building fund, and debate (sometimes at length and often with increasing antagonism) whether a motion is in the correct form. None of this fulfills the expectation of God through James, and that even applies to Lutherans! In context, James (2:14-26) talks about giving clothes or food to someone who needs it (in line with Matthew 25:31-46). 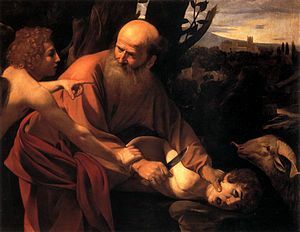 The reader is reminded of the story of Abraham who was willing to sacrifice Isaac (Genesis 22:1-14) just because God ordered it, even though it went contrary to his feelings and dreams. Of course, it turned out to be a test, but how many people have a faith that acts according to God’s orders even when it costs too much, is inconvenient or contrary to your own plans? James also recounts the story of Rahab, the prostitute, who chose God over her entire cultural upbringing and former political loyalties, giving up her entire biography. Of course, she saved her whole family! (See Joshua 2). So, busy-ness does not fulfill the will of God. Instead, act from godly love for others, live loyalty only to Jesus, give up on personal dreams and plans at a moment’s notice when Paraclete leads you to go for God, and “focus on the things that are above—where Christ holds the highest position. Keep your mind on things above, not on worldly things” (Colossians 3:1b-2 God’s Word). We absolutely must…we really don’t have a choice if we want to please God. Wonderful post! I believe true balance will come from understanding what God is saying to us in the Word…instead of what we “think” it means…we need the Spirit for this understanding. For the “flesh profits nothing” (John 6:63 NKJV).